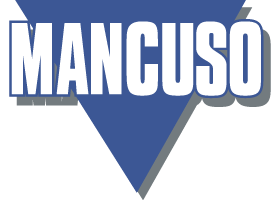 Mancuso Paving consists of a team of professionals with the construction experience and expertise to complete your project on time and on budget. Our team of paving contractors in Toronto consists of our managers, field supervisors and skilled tradesmen to keep your projects on schedule until completed to your total satisfaction. We believe in offering professional service and honest advice at every phase of your project. We also make sure that we provide cost-effective and tailor projects which fit within the budget of our customers. Parkade, roadway, driveway or walking path, Mancuso Paving Limited offers the best asphalt paving for Toronto and surrounding areas. A local Toronto company for over 50 years, we are committed to customer satisfaction with every paving project we do. For every project, choose Mancuso Paving Limited as your go-to paving contractor in Toronto. Mancuso Paving is able to handle a variety of projects, including industrial parking lots, shopping plazas, strip malls, churches, schools, parks, parking lots and hospitals. We offer an extensive range of landscaping and building products. Whatever your aspiration or budget, we are sure you will find the perfect materials for your driveway or garden project. To learn more about us, stop by today!